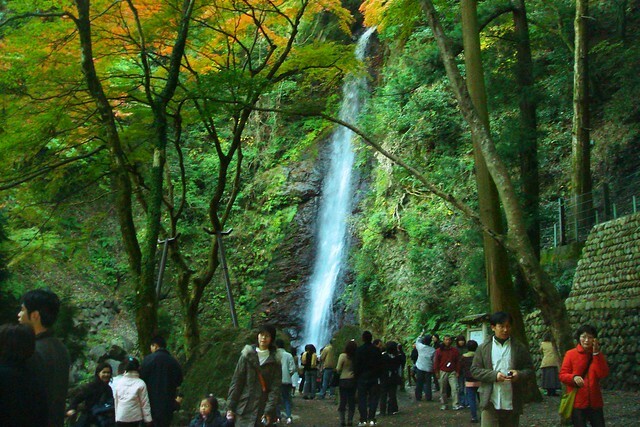 Yesterday I went to Yoro Waterfall to enjoy the momiji or autumn leaves. My sister Cecil was in Tokyo so I went there in an all-by-myself adventure. When I got off thetrain, I had no idea where to go. So to save my time, I took the cab to my destination. Taxis in Japan are really pricey. So when I made that decision, I blamed again my oversleeping habit. But then the 60-something driver started a conversation that made that ride worthy. He asked, "Do you know "uta"?" I said yes as it's a simple word which means "song". Then he tried to explain something I couldn't figure out. I assumed he was asking permission if he could play some music about the waterfall, so I said I wouldn't mind. But he surprised me when he himself sang the song! As expected, I didn't understand all the lyrics but I was very thankful. Meeting a kind (and gutsy) driver like him isn't something we encounter daily. I still had to walk from the taxi stop to the waterfall, but the trail wasn't difficult at all. I walked with the other visitors eager to see this popular spot. Honestly the fall fell short of my expectations. Tamayong waterfall (in Davao) is bigger, and Badian waterfall (in Cebu) is far lovelier than it. 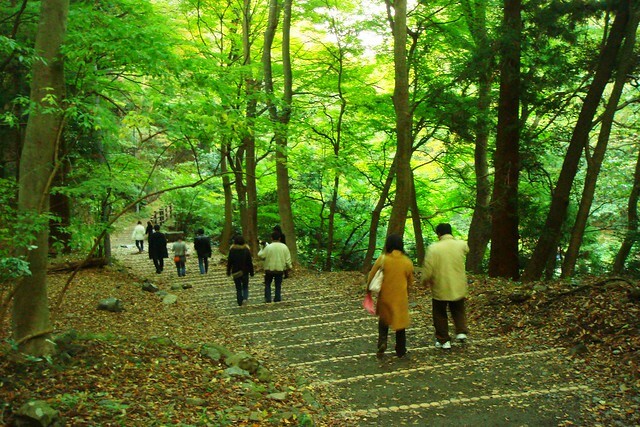 But the thing is the city has developed a pathway that allow people to enjoy the autumn leaves while going to the destination. I didn't stay long at the main site. 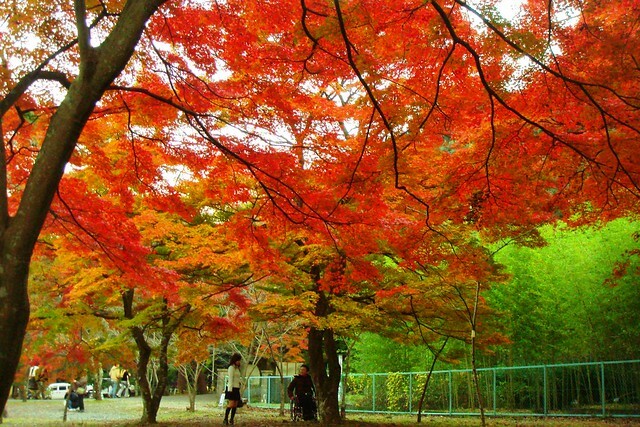 After a few minutes, I walked down and sat under the shade of trees whose red leaves were at their peak. From my spot, my eyes had a silent, people-watching activity. Many were taking pictures, some were eating, some were waiting and others were just chatting. Like me, they were making moments of a majestic view that usually lasts for about two weeks. 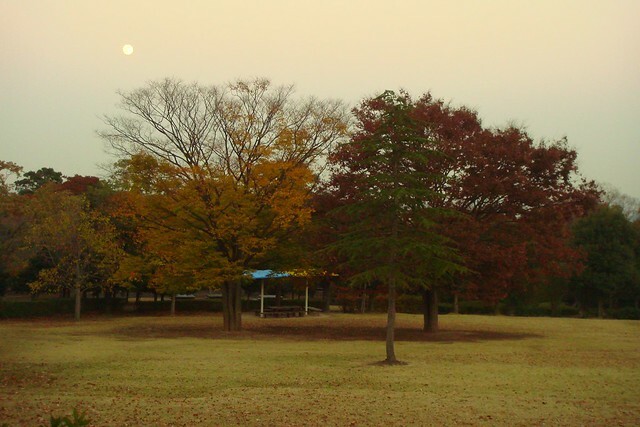 As the breeze got colder, I started to walk to the station. I passed by the park I visited with the second graders during their school trip last summer. Curious of how it looks in autumn, I decided to stop and sat in a gazebo. And for the first time, I did something I had been wanting to do all these years: staring at the bright full moon. I was kinda mesmerized by its beauty. It was getting dark then and the people were leaving but I stayed there, sitting, enjoying, admiring, wondering and dreaming in the solitude of the cold dusk amidst the moonlit landscape. When I saw the park's roving guard, I stood up and headed to the train station. 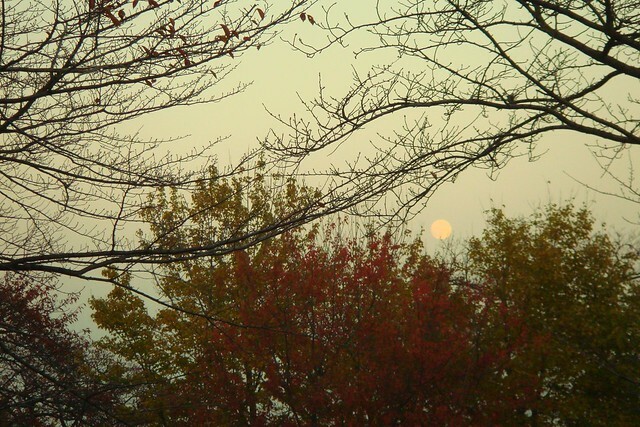 As I was walking, with the moon still within my sight, a thought popped up. Perhaps witches appreciate the full moon the most.